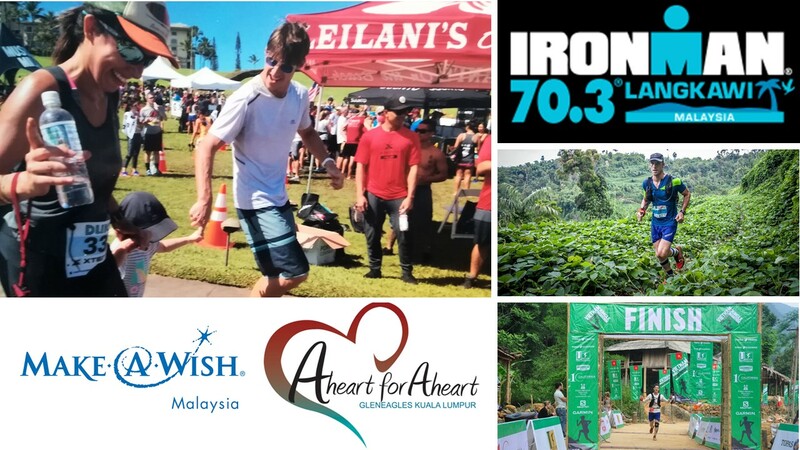 Although the Ironman 70.3 Langkawi remains a personal challenge for me, I just do not want to race only for me to reach that goal but I want to race for a good cause and try to help others, especially very sick kids. There is one French association, “Le Marche De Noel”, which has been organizing since 2010 the “French Charity Christmas bazaar” in Kuala Lumpur. I want to help this association which is doing a fantastic work. All the fundraising goes to one NGO ( “Make-a-Wish Malaysia” ) and one charity programme ( “A-Heart for A-Heart” ) that support and fight for the kids of Malaysia who have life-threatening disease or congenital heart disease. I’m lucky to be in good health and enjoy sport every day, hence as a father of a young child giving the possibility to kids and their family to have a brighter future is so important to me. Counting on your strong support, please fundraise with me! All the best Mr Jean, Graceful Hands teachers are supporting you at all time! Cours matelot, cours ! Bon courage et bravo ! Bravo Jean pour cette initiative, on te souhaite une bonne course ! You go coach!  So proud of you!